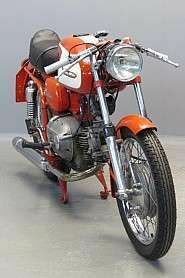 To many enthusiasts the FN four has always been one of the most appealing machines of veteran and vintage times. 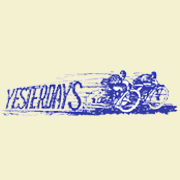 Its production ran from 1905 till 1926. 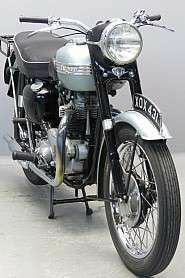 The earliest type had a 362 cc engine with automatic overhead inlet valves and side exhaust valves. The machine was single geared, had shaft drive and the top speed was about 60 km/hour. 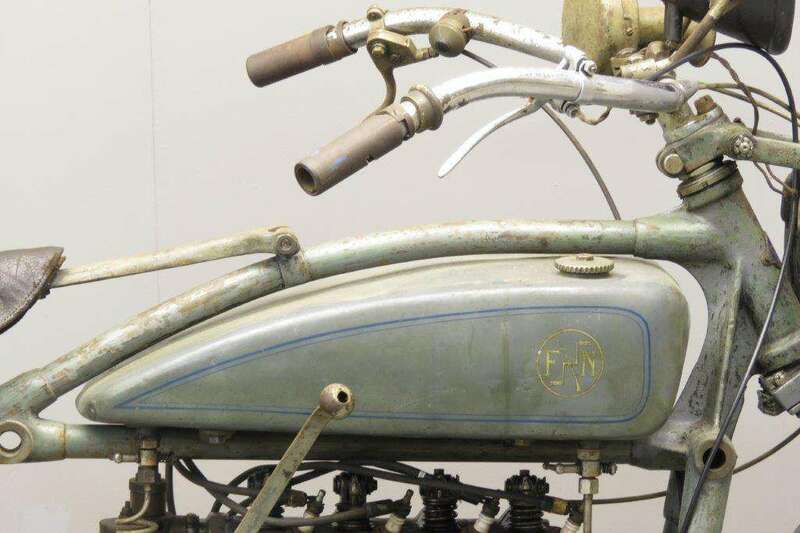 The FN four was an immediate success and found customers all over the world; FN sold its machines in more than 40 countries. 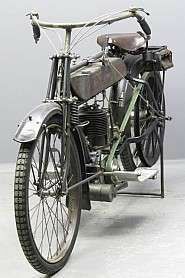 It found many customers in the U.S.A. and made Americans interested in the four cylinder concept: Percy Pierce purchased a 1908 model on one of his trips to Europe and the FN became a point of reference for the first Pierce Four in 1909. 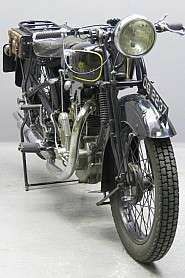 The design was developed to 493 cc and the machine got a proper clutch and gearbox in the years before World War One. 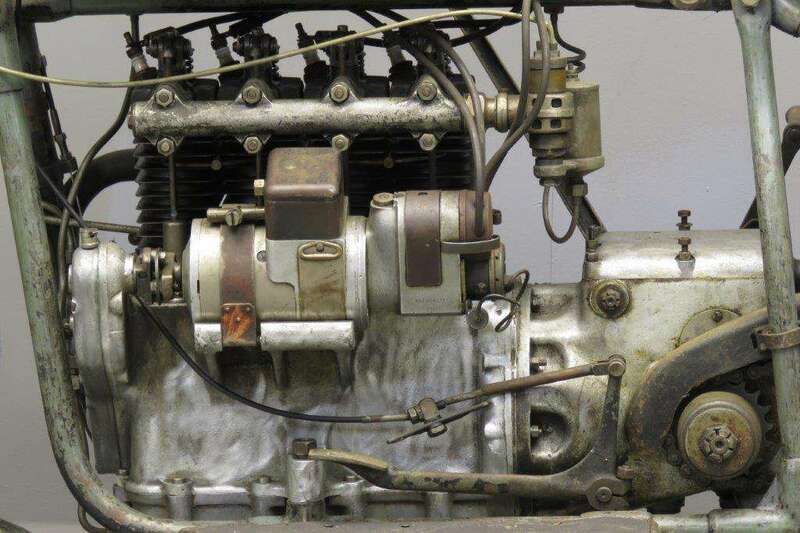 In 1914 the engine was completely redesigned: it grew to 750 cc with mechanically operated inlet valves. Both inlet and exhaust valves were side valves. The machine had a sturdy clutch and a three speed gearbox. Shortly after the first world war we saw another design change: the side valve inlet system changed to overhead again. 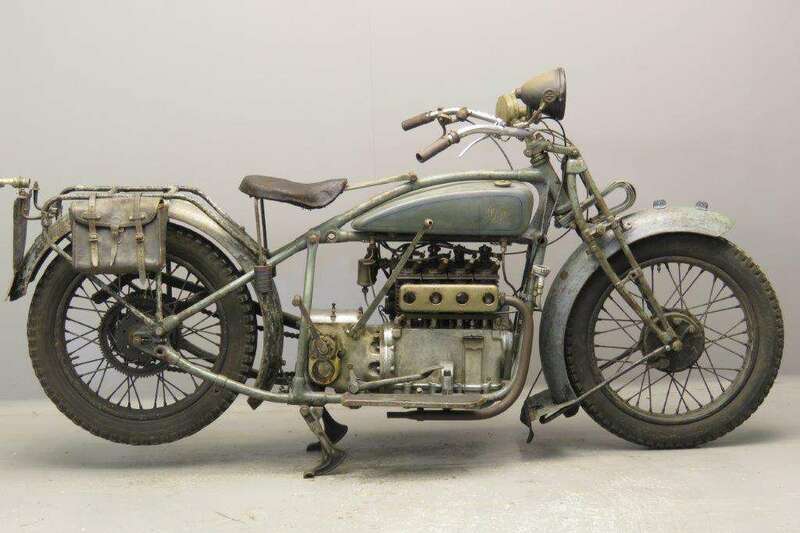 In the autumn of 1923 the model M 50 was marketed: the machine got chain drive and the flywheel was enclosed by the crankcase, to name a few new technical features. More important perhaps for the customer was the design change in the rolling chassis: the Four got the same modern looks as the new 350 OHV machine, with shorter frame and graceful petrol tank. 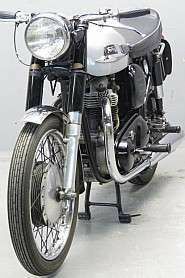 But the days of the FN four were almost over now: the new and successful 348 cc OHV single M 60 was much cheaper and almost as fast. 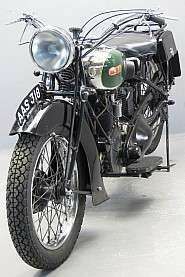 At the end of 1926 M50 production came to an end. 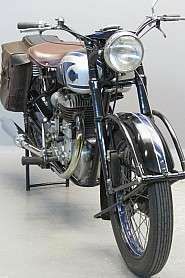 Only some 780 units were produced during the model`s lifespan. 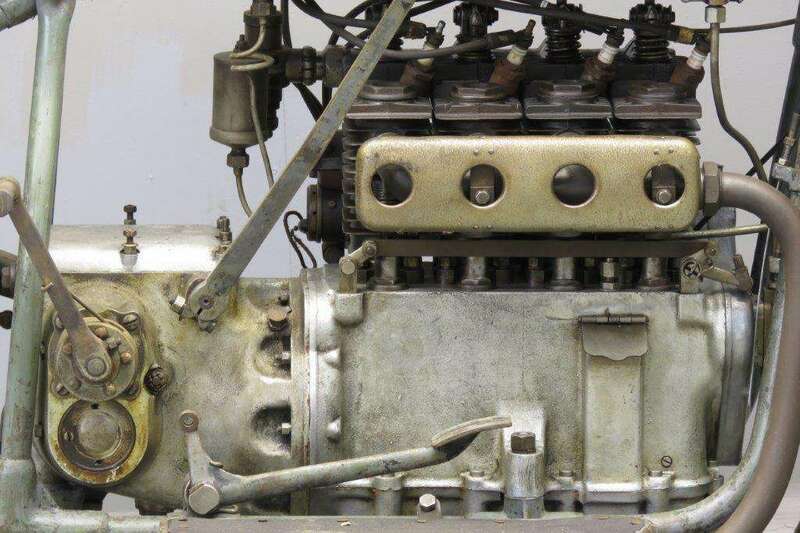 The unit engine four cylinder had bore x stroke of 52 x 88 mm and the tyre size is a robust 28×3. This rare survivor spent its life in the Netherlands. 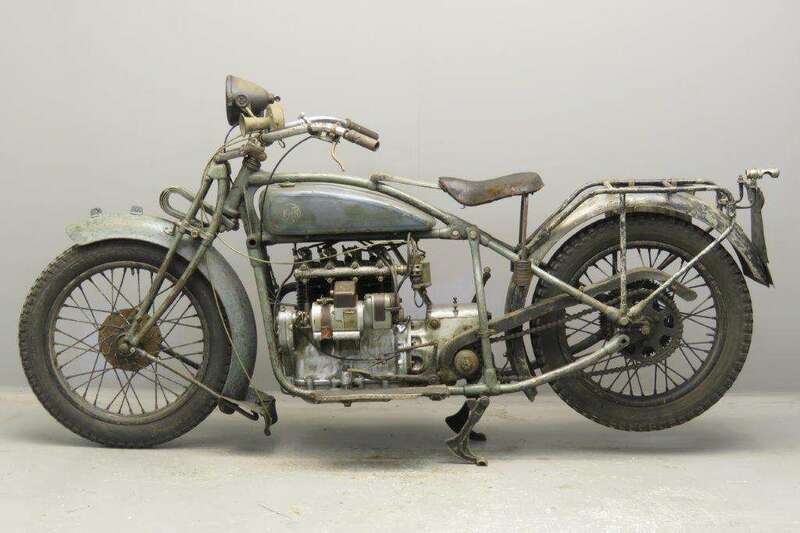 The machine is unrestored and remarkably sound and is fitted with a practical centre stand. Missing parts are the brake pulleys, brake controls, conrods and pistons. It comes complete with the correct Bosch lighting system and now has a practical internal expanding front brake and wired-on rims and tyres.